PORSCHE 92860270601. OPEL 1208033, 1208038, 1208056, 1208243, 1508052. OPEL SENATOR A (29_) 2.2 E Saloon Petrol 11/1984 08/1987 RWD 8 115 85. OPEL SENATOR A (29_) 2.5 E Saloon Petrol 01/1983 08/1984 RWD 12 136 100. FREE GIFT NGK Ignition Coil Keyring NGK U1069 / 48306 Ignition Coil Genuine NGK Component. NGK Spark Plugs. NGK Glow Plugs. NTK NGK Oxygen Sensors. One ignition coil per vehicle Number of ignition cables corresponds to the number of spark plugs In addition, a cable to the distributor is required. Fister HW639. Lucas - DAB405. Mulsanne Turbo 1982- 85. 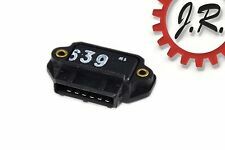 Electronic Ignition Module. Saab - 750 3600. 780 2.3i Turbo (Eng.B230FT) 1984- 87. 760 2.8i 1986- 87. 760 2.8 GLE Cat. 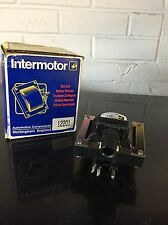 Ignition Module fit AUDI BEDFORD CITROEN for D OPEL PEUGEOT PORSCHE SAAB SEA VE520222 Ignition Module fit AUDI BEDFORD CITROEN FORD OPEL PEUGEOT PORSCHE SAAB SEA. > Lambda Sensors. > Ignition Coils & Modules. If you require more photos these can be supplied. Motaquip are an automotive parts supplier with a unique history forged at the heart of the United Kingdom’s motor industry over three decades ago. Motaquip Ignition Coil. Search “Motaquip Auto Spares E-Catalogue”. VE520012 Oil-filled Coil fits OPEL VAUXHALL VE520012 Oil-filled Coil fits OPEL VAUXHALL. NOTE1 : Part Number - VE520012. > Air Mass Sensors. > Throttle Bodies. 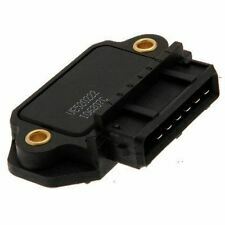 Ignition Module VE520222 Cambiare. Part Number VE520222. GENERAL MOTORS 90006499 90062964 90188755. CHEVROLET 1208243. PORSCHE 92860270601. SAAB 7503600. Type Ignition Module. VW TRANSPORTER II Box 2.0 Box Petrol 08/1975 07/1979 RWD 8 69 51. OPEL/VAUXHALL 1208046 1208053 4226031 5171111. VAUXHALL 1208046 1208053 4226031 5171111. 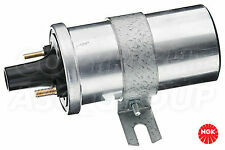 Ignition Coil VE520019 Cambiare. Part Number VE520019. GENERAL MOTORS 1208047 30584237 90297487 90350987 90369434. Manufacturer Part Number: U1069. Short Code: 48306. NGK NTK IGNITION COILS. Product Version: ELECTRONIC COIL - WET. Product Type: IGNITION COIL. During festive and sales periods this may be extended slightly. A vehicles ignition system is the heart and sole to a healthy running vehicle. The Important Bit. We apologise in advance for any inconvenience caused. Number of Pins: 7. Incorrect Engine timing can potentially cause lumpy idle as well as poor running. OPEL ASCONA, MANTA, CORSA, KADETT. FITS OPEL ASCONA 'C'. OPEL PART NO : 90006145. FITS OPEL KADETT 'D'. OPEL MANTA 'B'. OPEL REKORD 'E'. IGNITION MODULE IGNITION MODULE. Ignition System Switch Module Unit. This information is direct from the part manufacturer, we do not own this data and cannot confirm it's accuracy or edit the data. Seat Malaga (023A) 1.5i Cat Petrol (1986-1991). VE520019 Oil-filled Coil fits OPEL SAAB VAUXHALL VE520019 Oil-filled Coil fits OPEL SAAB VAUXHALL. NOTE1 : Part Number - VE520019. > Air Mass Sensors. > Throttle Bodies. FORD 6143688. FORD 6188591. FORD 83BB006M092BA. FORD 83BB6M092AA. FORD 83BB6M092BA. FORD 88BG8B658AA. FORD 83BB-006M092-BA. FORD 83BB-6M092-AA. Kerr Nelson Ignition Module Switch Unit. Any information in the compatibility table is for reference only and there may be unspecified choice options. Labour claims & consequential loss claims are never accepted. Part_NumberGR064 / 0201010064. BERU® parts are developed in synergy with glow plugs OEM. The Green Spark Plug. ITEM SPECIFICS. IGNITION MODULE. We will try our best to reduce the risk of the custom duties. Ignition Coil : Coupling Type M4. 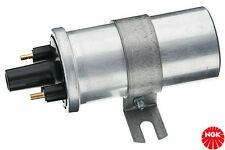 Ignition coilCoupling Type M4. Lambda Sensors. Spark Plug Tools. Glow Plugs. Spark Plugs. DIY Car Service Parts. Delphi Glow Plugs. The introduction of emissions legislation into MOT tests during the following years, made Fuel Parts a popular supplier for this growing market. Direct Fit. Cross ReferenceVK367,XD250,1.315.067,404545220,2.7667PHT,815 067,DDB246,GDC342,CB640,D814. IGNITION COIL. We will try our best to reduce the risk of the custom duties. Applications / compatability are for guidance only. Ignition Module. Leading Automotive Parts & Accessory Distributors. Electrical goods will not be accepted back once sold. SEAT XO 339678.30. Manufacturer Restriction : System Bosch. VOLVO 1 332 584. OPEL 90062964. SCANIA 7503600. SAAB 750 3600. PORSCHE 928 602 70601. PEUGEOT 94048070. VAUXHALL Astra Belmont 1/ 1985 - 9/ 1987 Petrol: 1.6, 1.8 16S, 18E, 18SE. VAUXHALL Astra 9/ 1981 - 12/ 1991 Petrol: 1.6, 1.8 16S, 16SV, 18E. VAUXHALL Cavalier 9/ 1981 - 10/ 1986 Petrol: 1.6, 1.8 16S,16SH, 16SH, 18E, 18E,18SE, 18SE, C18NE. Mirror Heads, Housing & Motors. Belt Tensioner Wheels & Bkts. Suspension Ball Joints. Ignition Coil: Connector Type DIN. Ignition Coil. Rear Lights. Front Exhausts Cats. Estimates can be provided beforehand but prices may differ upon ordering. BOSCH > IGNITION PARTS. Key Features. Part Type: Distributor Rotor. Warranty Period: Manufacturer Warranty if applicable - See Bosch website for more details. Product Group: PETROL - IGNITION OTHER. Gaghills Mill. SEAT X033967830. Number of Poles : 7. VOLVO 1332584-0. VAG X03 967 837. GENERAL MOTORS 90062964. SAAB 7503600. SAAB 4023149. PORSCHE 92860270601. Ignition Coil : Connector Type M4. Weight [kg] : 0.77. SAAB 4226031. OPEL 1208053. OPEL 1208047. GENERAL MOTORS 90350021. GENERAL MOTORS 90348296. For OE No. 03474282. IN DOUBT WHETHER IT WILL FIT?. 14,000 positive. MAINLAND -24 HRS. (incl: NORWAY & SWITZERLAND). Specification SAE. If the item is used, we are unable to accept the goods back. We always will do the best for both sides to be happy! NUMBER BEFORE BUYING. IN DOUBT WHETHER IT WILL FIT?. 14,000 positive. MAINLAND -24 HRS. (incl: NORWAY & SWITZERLAND). If the item is used, we are unable to accept the goods back.